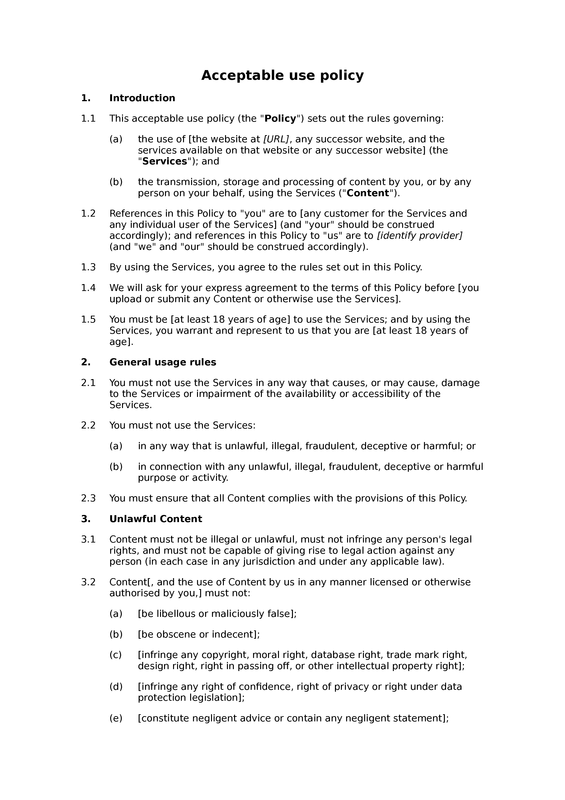 This acceptable use policy document is designed to regulate the use of a website or other online service. 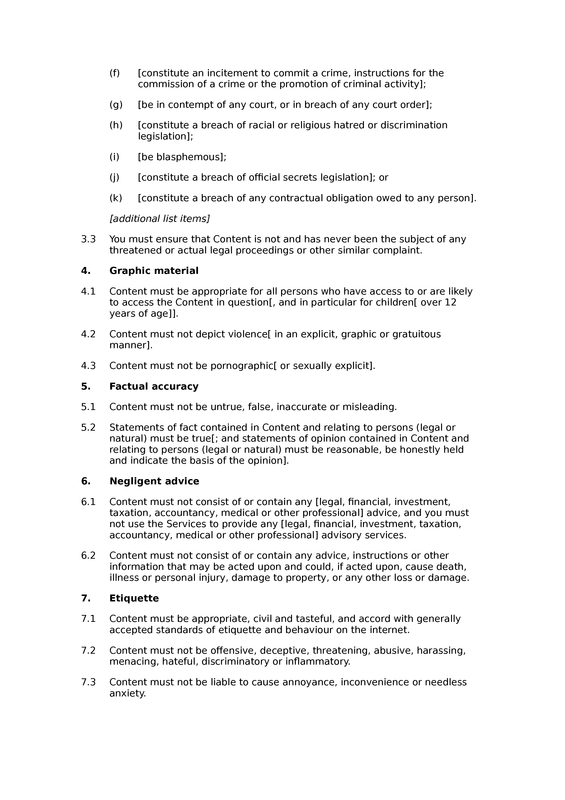 The bulk of the policy is concerned with prohibiting certain actions and certain types of content. 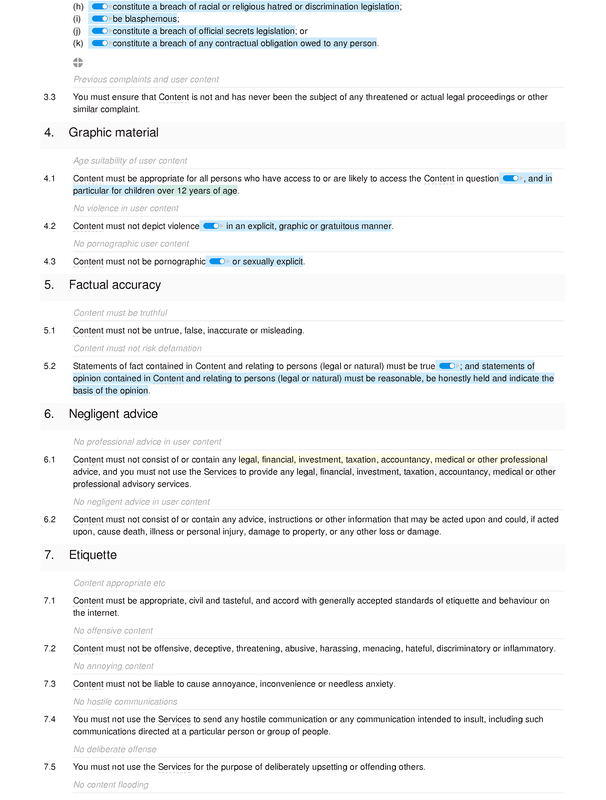 The policy naturally covers unlawful actions and content, but may also cover actions and content that are undesirable but not unlawful. 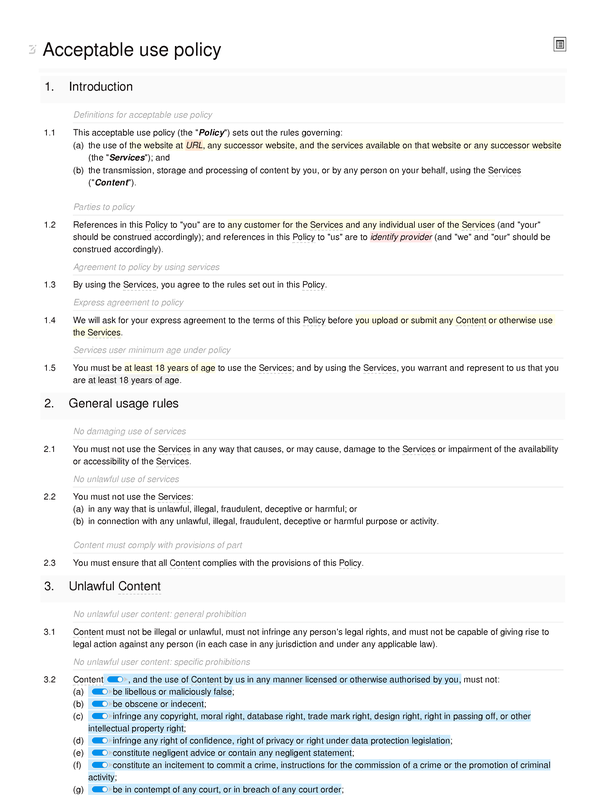 Marketing and spam: prohibition on marketing activities; no spam in user content; sending spam using email addresses; no promotion of marketing schemes.